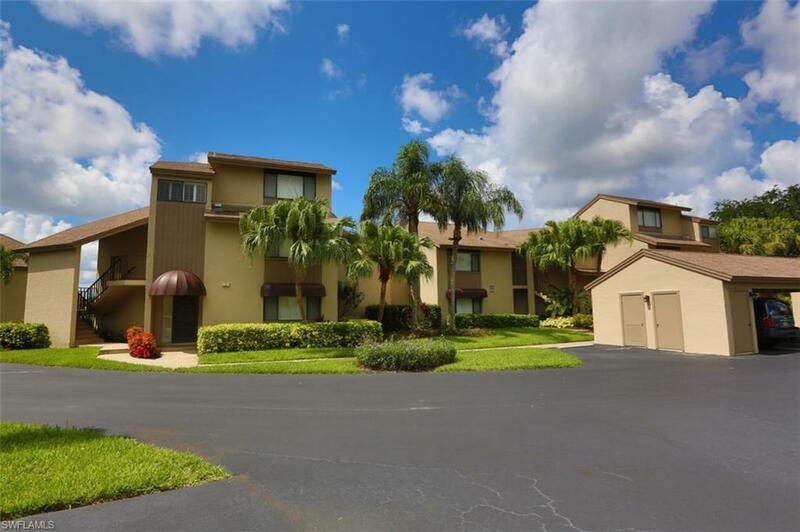 15101 Bagpipe Way #202, Fort Myers, FL.| MLS# 218077855 | Southwest Florida Residential Real Estate for Sale. Fabulous view from this fully-furnished, 2 bedroom, 2 bathroom second/top floor condo in Fiddlesticks Country Club. The large screened-in, tiled patio opens from the master bedroom, living room, and the dining room and offers a panoramic view of the Wee Friendly Golf Courseâs 13th hole. Move in ready, this condo is light and bright. A breakfast bar overlooks the kitchen and the split floorplan is great for company. Conveniently located near shopping and dining, Fiddlesticks offers 2 championship golf courses, clubhouse with casual and formal dining, 8 Har Tru clay tennis courts, new 7, 000 square foot fitness facility, new resort style zero-entry pool with cabana bar and pool-side dining, and many social events throughout the year. No CDD fee! Equity membership fee of $50, 000 due at closing.